The meat-free lifestyle is having a moment, buoyed by soft-focus Instagram accounts, the clean-eating fad and this week's hotly debated protests. But it's Silicon Valley that's really driving the shift, drawing on California's obsession with a healthy and environmentally friendly diet. While many vegans favour unprocessed vegetables over meat substitutes, those who love the taste and texture of the real thing are demanding something that works for them. And not everyone is using protest to change habits. Entrepreneurs have been busy developing the most convincing replacements technology can achieve in a burgeoning industry that's set to be worth $6 billion by 2023. New Zealand-based Shama Shukul Lee had a successful career as a software engineer when she had a "existential crisis" and decided she needed to change paths. Former software engineer Shama Shukul Lee created bespoke machines to recreate the texture of chicken. "I was feeling really unfulfilled, and so much so that I couldn't get up and go to work," she told news.com.au. "I wasn't doing what gave me meaning." She recently opted to cut out meat to improve her health, protect the environment and support animal welfare, but she found it a challenge. "I was a huge meat eater, I grew up eating meat," said Ms Shukul Lee. "When I gave it up, I really struggled. I relapsed a few times. "I was not very well versed in eating other kinds of foods because I think eating meat makes you lazy. You have to figure out what food to eat, I was completely ignorant." She established Sunfed Foods, raised $10 million in funding and gathered a group of engineers to help her manufacture a product that was a true alternative to meat. "Everything I went through was not like the texture of meat, it was more like tofu," said the food tech entrepreneur. "With meat, there's a mouth feel - the bite, the texture, and I was missing that quite a bit." The new generation of meat-free meat is carefully developed to have the texture and bite of the real thing. 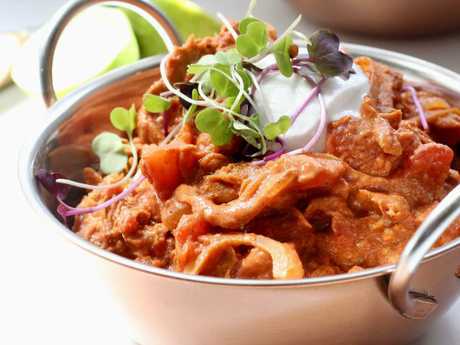 Ms Shukul Lee was determined to create a product with the low carb, high protein nutritional benefits of meat, using the most simple and natural products possible. After she "struggled with letting go of meat", she was eager to "not come from that place of judgment or preachiness". 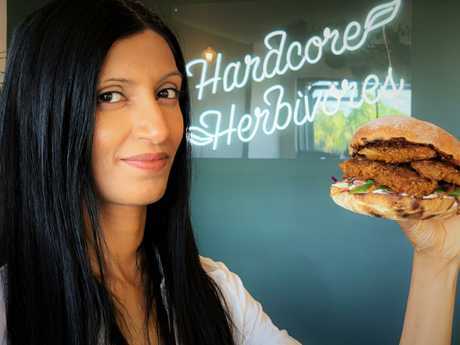 By 2017, her chicken-free chicken was flying off the shelves of New Zealand's two biggest supermarkets and is set to launch in Australia by June, along with a beef-free burger. The fake chicken is made from a surprisingly short list of ingredients - water, pea protein, rice bran oil, pea fibre, pumpkin, natural yeast extract and maize starch. 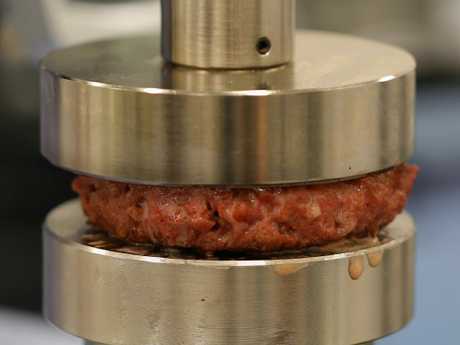 The magic lies in specially made machines that give plant proteins more structure to mimic animal proteins. "I was forced into hardware engineering to solve the problem," she said. "We had to design and build machines … we had to try so many combinations of ingredients to get the right ones, and the more minimal you get, the harder it gets." Ms Shukul Lee, who has given a Ted Talk and will appear at Vogue Codes 2019, is one of a surge of founders changing the way we look at meat. 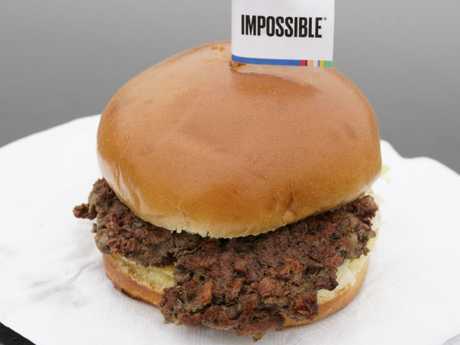 Perhaps the biggest trailblazer is the Bill Gates-backed Impossible Foods, which launched its original plant-based Impossible burger in 2016 and in January brought out the Impossible 2.0 burger. It looks, smells, tastes and even bleeds like a beef patty but is far less environmentally destructive to produce. The company says choosing an Impossible 2.0 patty over a beef patty will save the equivalent of half a tub of bath water or 28km of car emissions. The highly convincing burger has a longer list of ingredients than Sunfed chicken - including soy protein concentrate, coconut oil and potato protein - and a fairly similar nutritional profile to a beef burger. The key achievement is a lower impact on the environment and animal welfare. It has been served up on Air New Zealand and the company has just introduced an Impossible Whopper at Burger King in the United States. It is sold in more than 6000 locations in the US and Asia, and its international expansion is focused on the latter since the region accounts for nearly half the world's meat demand. It's also coming to Australia - CEO Pat Brown told News Corp earlier this year the company was attempting to clear the first hurdle on its way to the local market. The vegan movement has a strong celebrity backing. Richard Branson, who predicts fake meat will overtake real meat within 30 years, has a stake in lab-grown Memphis Meats. Sydney-based "vegetarian butcher" Suzy Spoon told Food & Drink Business she was inspired to launch her products in 2012 after working as Tobey Maguire's personal chef. The products are now stocked at Harris Farm. In 2017, Leonardo Di Caprio invested in Beyond Meat whose Beyond Burger is made using pea protein isolates and has been stocked at 200 Coles stores across New South Wales and at fast-food chain Lord Of The Fries since last year. "It's a delicious, juicy, meaty burger for true meat lovers," reads the blurb. "It just happens to be made from plants. Woolworths introduced Funky Fields' plant-based Minced, controversially placing it in the meat section of the chiller and causing Nationals MP Barry O'Sullivan to call for it to be pulled from the shelves. Deputy Prime Minister Michael McCormack complained about the labelling, insisting "mince is meat", while the party's chief whip Michelle Landry - who represents a seat in the beef industry - called it a "Trojan horse of processed protein posturing", the ABC reported. Greens rural affairs spokeswoman Janet Rice accused the Nationals of "running a protection racket for red meat". Leonardo Di Caprio has invested in Beyond Meat, which produces the Beyond Burger, made by ‘braiding together proteins, fats and minerals’ to ‘recreate the basic architecture, and thus texture, of meat’. Even the Prime Minister stepped into the vegan debate yesterday, with Scott Morrison calling the protests "shameful" and "un-Australian". He said the activism "runs against the national interest, and the national interest is being able to farm their own land." 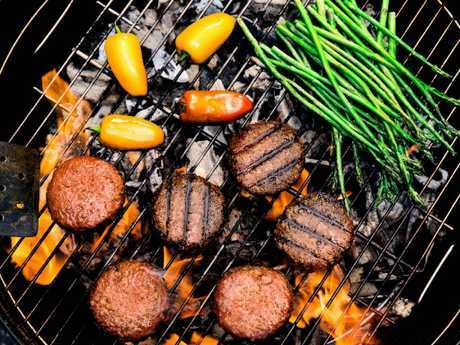 While meat-free meat products are now widely available in Australia, the new frontier has some distance to go to catch up with the US. The major supermarkets still stock a fairly basic range of Quorn fajitas and nuggets, Vegie Delights sausages, Bean Supreme's black bean and beetroot burgers and own-brand veggie burgers. The Beyond Burger, stocked at selected Coles stores and fast-food chain Lord of the Fries, is described as ‘a delicious, juicy, meaty burger for true meat lovers’. Specialty grocers and online stores serving major cities have wider ranges, including vegan prawns, steaks, tuna and jerky, but prices can be at a premium. Hungry Jack's new vegan burger was reviewed on this website as "the blandest thing I have ever eaten", while a vegan "bacon and egg" bagel served up at a cafe in Sydney's Surry Hills received mixed reviews. Ms Shukul Lee says the offerings are only set to improve as manufacturers finetune and scale their products, lowering the price and improving the quality. "It keeps getting better and better," she said. "What's on the market now, two months down the track, it will be better. "And that's something animal products cannot compete with." 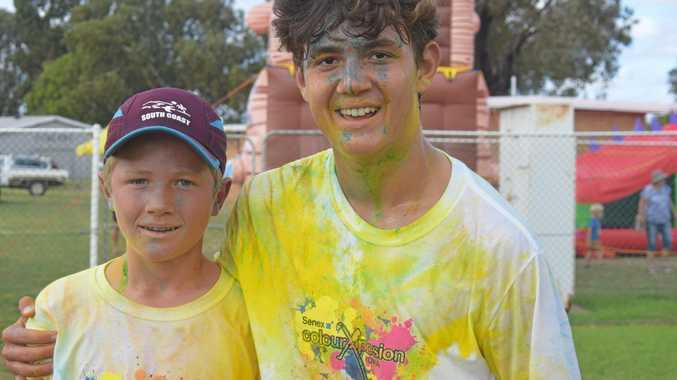 News Easter in the Country founder has heralded this year as the best.